Hardnett Fundamental Basketball (2002-present) is one of the top training programs in the southern region. It provides quality athletic and nutritional regimens that will effectively develop aspiring basketball players. In Hardnett, athletes will also gain a wealth of knowledge on how to be a complete student athlete. The 1996 NJCAA Naismith Player of the Year and former UConn hoopster is responsible for the development of many players that have went on to play collegiately and professionally. WANT TO RAISE YOUR LEVEL OF PLAY? 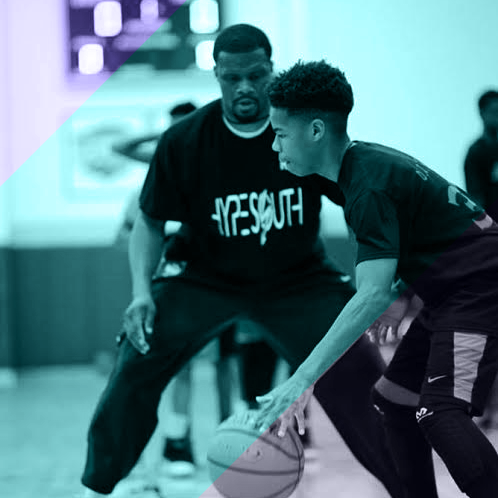 Hypesouth has an ongoing partnership with former NBA lottery pick, Sharone Wright. Kowacie Reeves serves as the Head Media Analyst for the annual Sharone Wright Adidas Skills 100 Camp (2015-present). He is responsible for creating and sending out digital camp invitations. Further, Reeves provides player evaluation reports and creates an exposure database for the camp staff. The database includes in-depth player profiles filled with updated contact info, schedules, highlights, transcript grade reports etc., which will be available to interested colleges & universities as well as distributed accordingly. WANT HYPESOUTH TO COVER YOUR NEXT EVENT?